Time controllers There are 3 products. 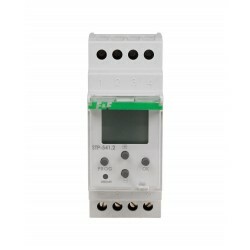 The controller is used for technological process control in industrial automatic-control device systems which require temporal, cyclic and alternate activation of receivers with appropriate intervals between successive switchings. Programmable controller (left/right activation mode). 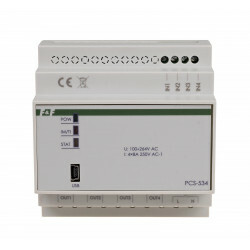 The PCS-534 controller is designed for automation systems that require simultaneous control of a group of receivers in a fixed ON/OFF combination forced by consecutive pulses. The pulses are fed either manually or automatically on the control input or according to the time intervals between subsequent switches.